Operational strategies is about transforming overall strategic goals into appropriate supply chain parameters in such a way that strategies and guidelines are automatically implemented in your day to day business. Do you find it challenging to understand how to make sure that your daily operations are aligned with your overall strategies? What if you could secure the right decisions by transforming overall strategies into tangible guidelines such as correct parameter setting in ERP- and supply chain optimization solutions? What if all of this could be executed automatically? With operational strategies you can make this happen. To reach substantial effects in supply chain business projects, several parts must work together. As supply chain optimization consultants, we must understand your business processes, what makes them competitive and what your business model looks like. We must also have extensive knowledge in logistics, planning, optimization and technology that we can share with you. To get the best effect of our projects, we translate this knowledge to be used in your daily operations. 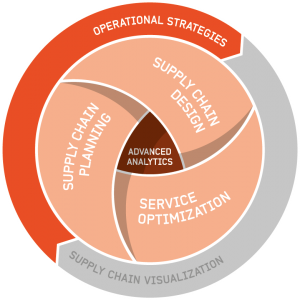 We call this operational strategies, which is a summary of guidelines and supply chain parameters that decide how your ERP system and supply chain applications should work in practice. Do you want to know more about operational strategies? Please contact Optilon’s Application Board Director Anders Remnebäck on +46 709 379 282 or anders.remneback@optilon.se.